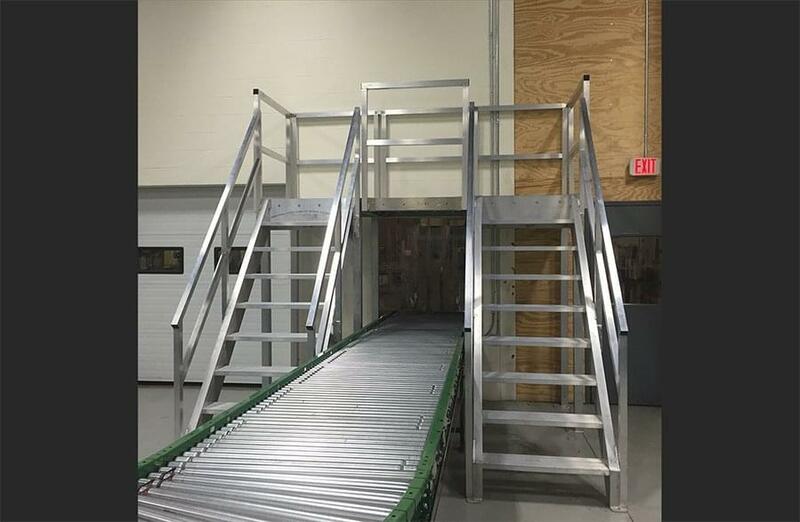 Our team manufactures industrial aluminum crossover stairs and platforms to help employees travel up and over equipment such as pipes, conveyors, ditches, and other safety hazards. 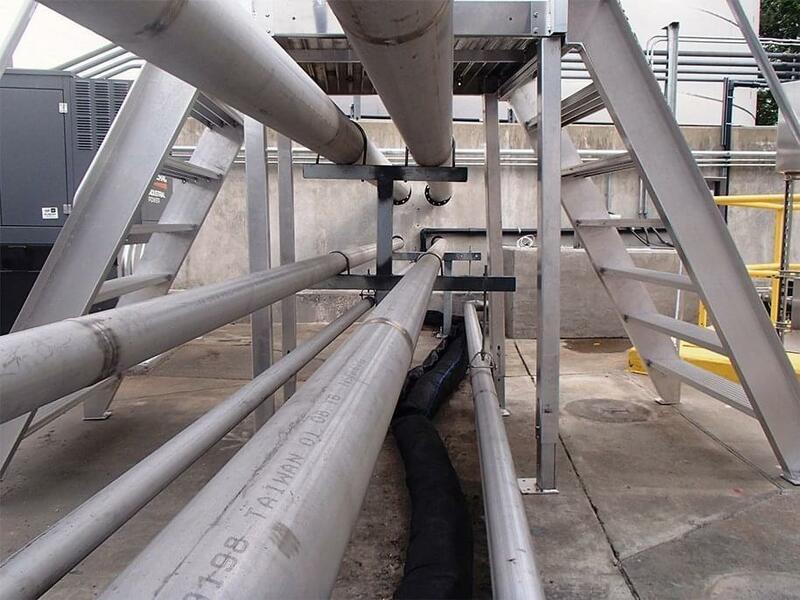 We can design a custom crossover system to fit your exact application. 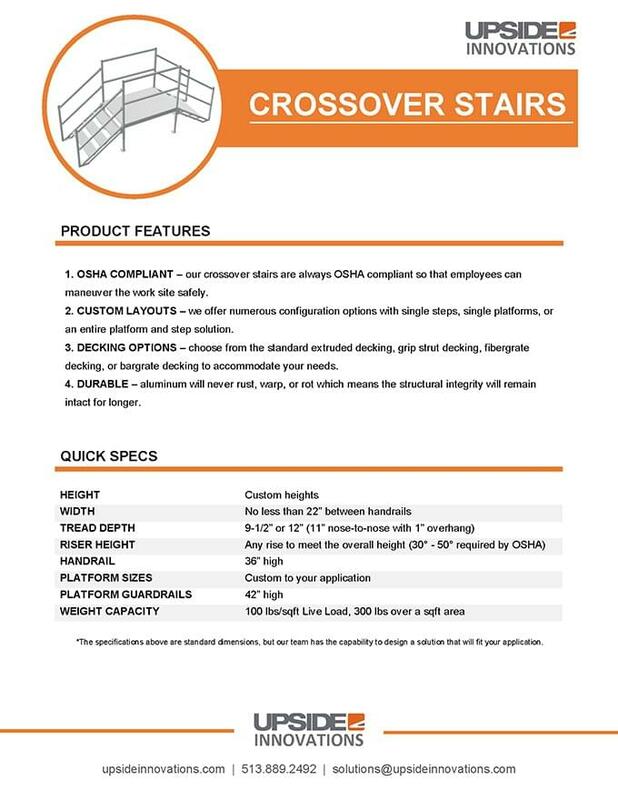 We design crossover stairs to meet any height you need, and we offer numerous configuration options with single steps, single platforms, or an entire step and platform solution. 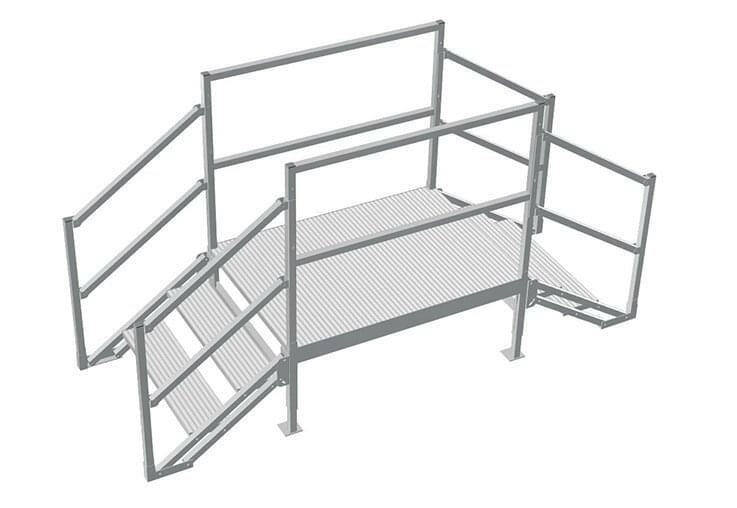 Choose from the standard extruded decking, grip strut decking, fibergrate decking, or bargrate decking to accommodate your needs. 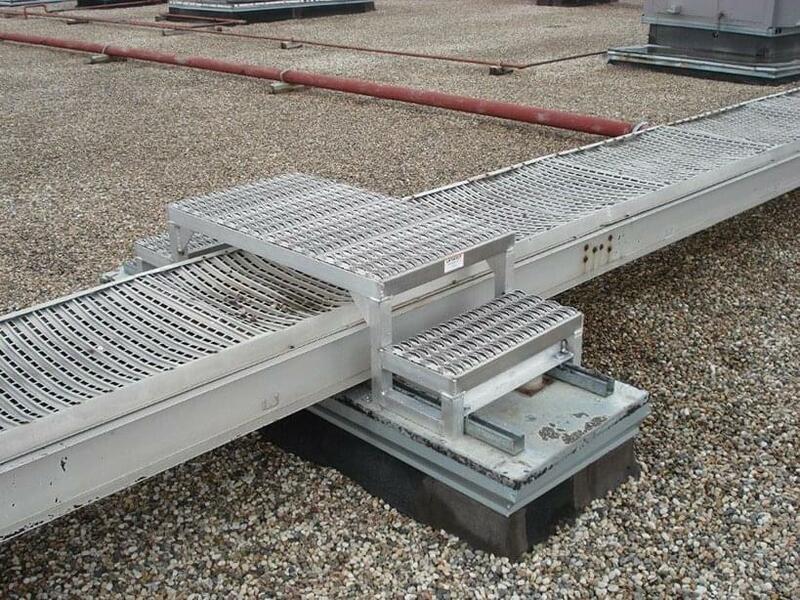 Our all-aluminum products will never rust which means they are a low-maintenance product and have a long lifecycle. 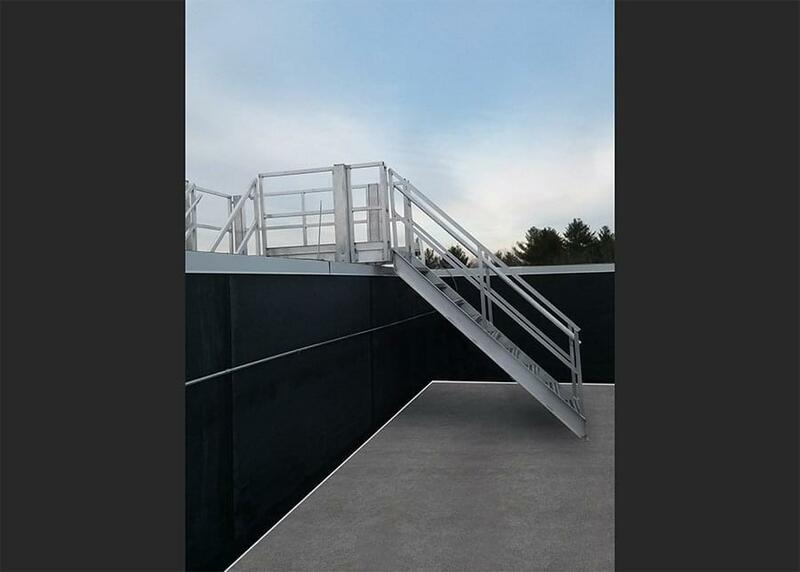 Upside’s professional installation crew will come to your site to install the crossover walkway system to make sure it’s done right. 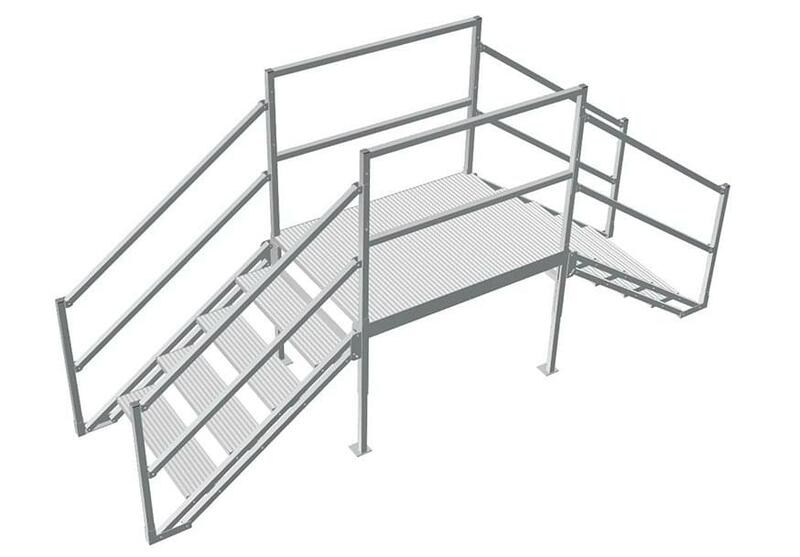 Our stairs are always OSHA compliant so that employees can maneuver the work site safely. 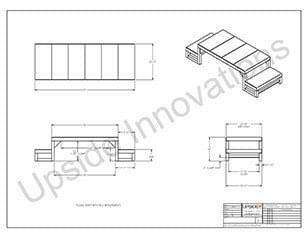 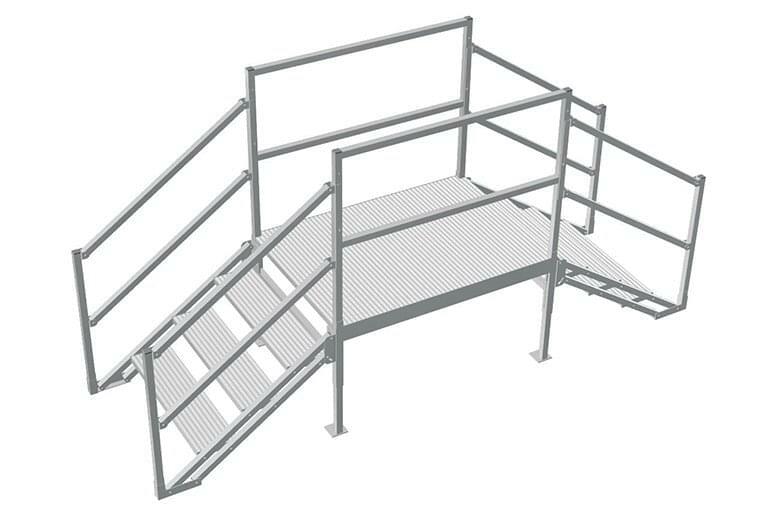 Our team designs, manufactures, ships, and installs crossover steps and platforms to fit YOUR custom project. 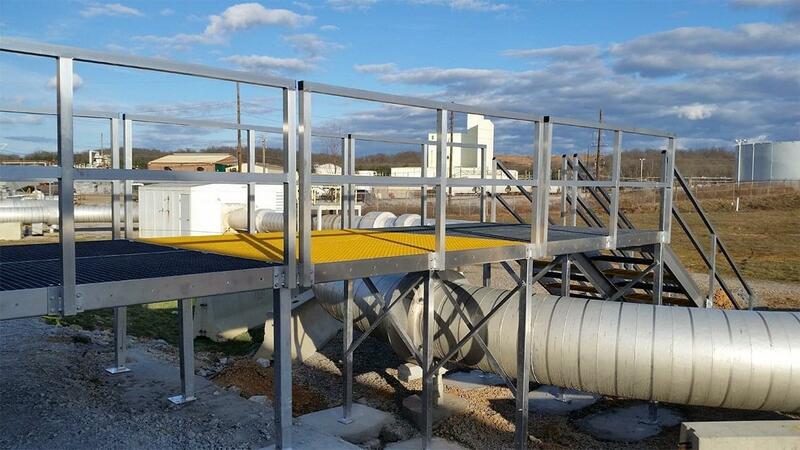 We work with you, from start to finish on your toughest layouts, making sure our access solutions are customized to reach the correct height and exact configuration to get up and over any pipe or conveyor system.